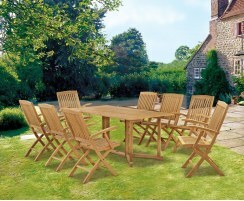 This outdoor extending dining set with folding chairs exudes style and is just perfect for cottage or city gardens. Guaranteed to impress your guests, this garden dining furniture set has been built to last and is extremely hardwearing and comfortable, no matter how long the entertaining! 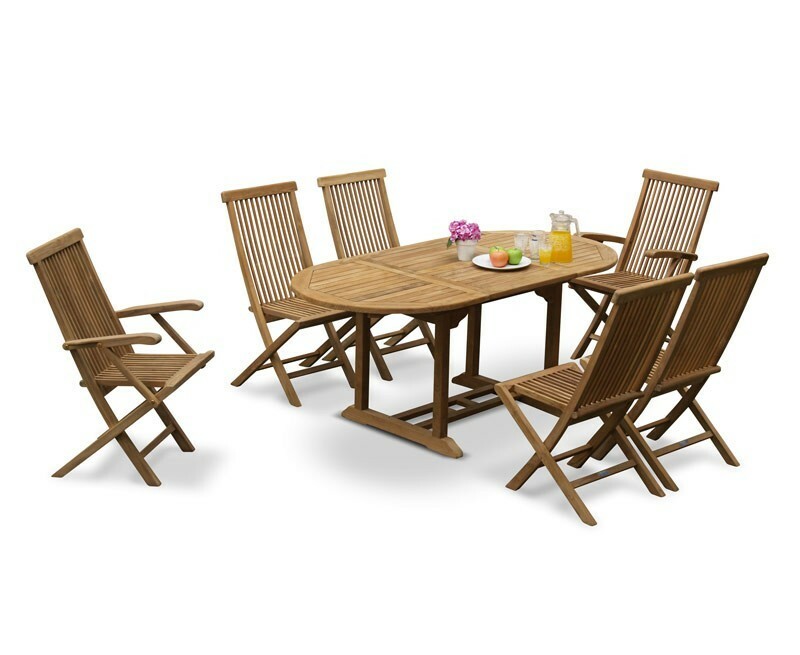 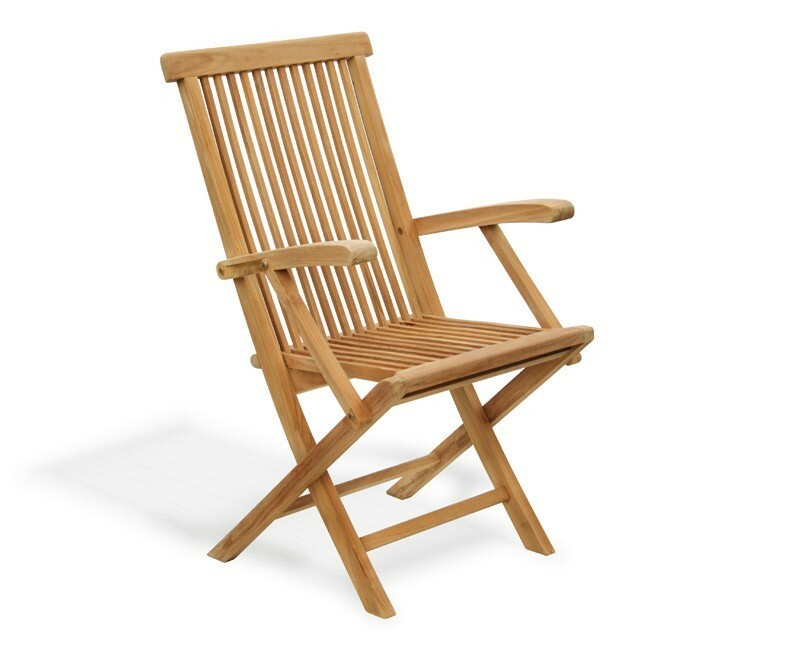 Beautifully handcrafted from durable, sustainable grade-A teak, this garden patio set is the low-maintenance choice, able to remain outside all year long, even in harsh weather conditions. 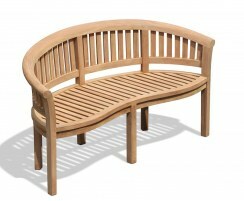 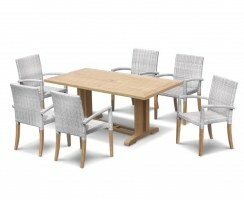 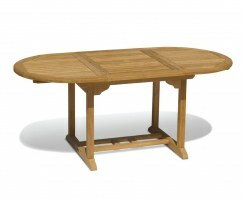 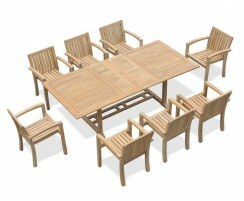 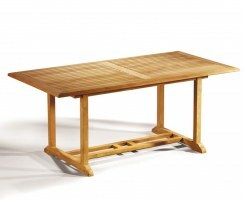 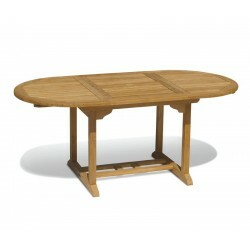 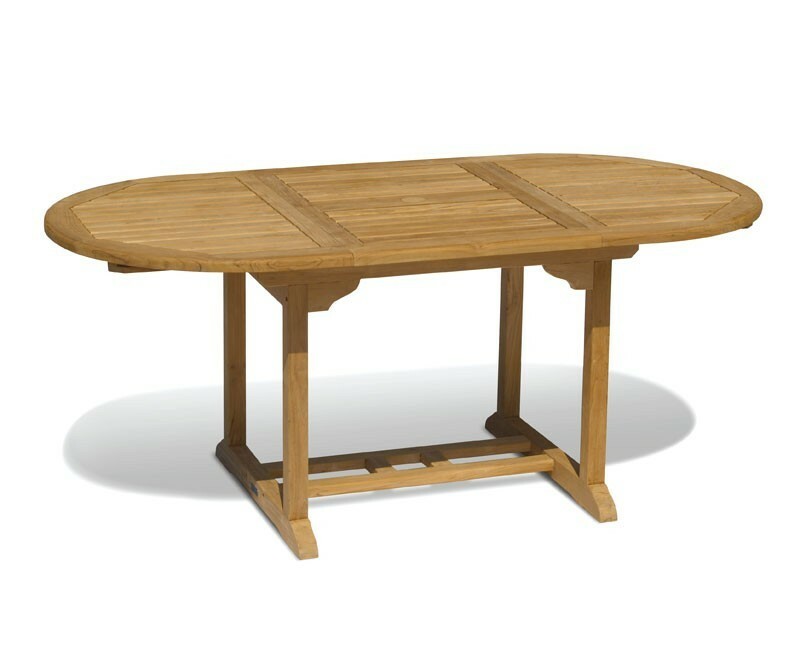 The Brompton extending teak garden table begins as a 1.2m round table and extends to an oval 1.8m. 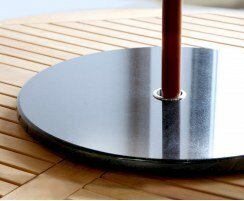 A pre-drilled parasol hole and plug enables the dining table to accept parasols with a pole diameter of up to 50mm in the extended position. 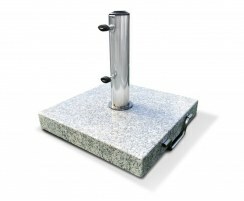 Aluminium extension rails slide smoothly and will not warp or rust. 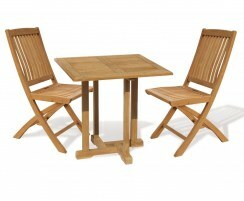 Two butterfly leaves tuck and fold beneath the outdoor tabletop when not in use. 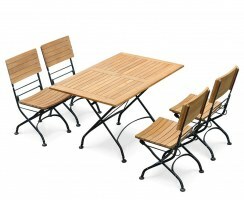 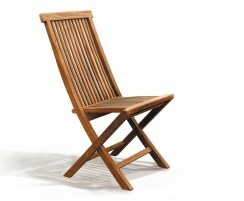 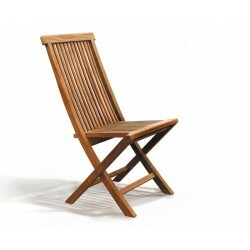 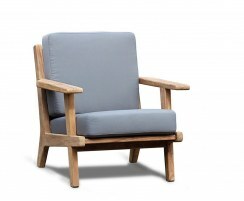 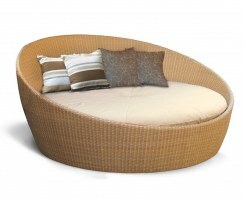 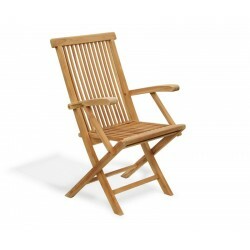 The six outdoor chairs can be folded away for storage when not in use. 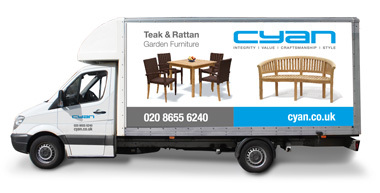 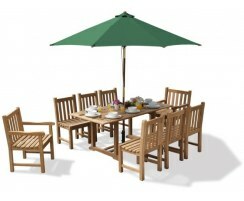 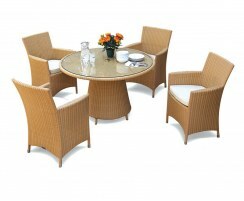 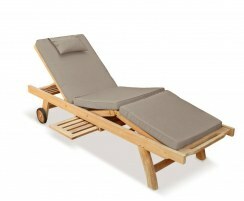 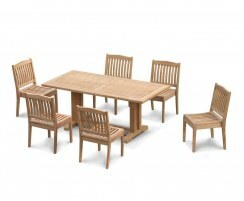 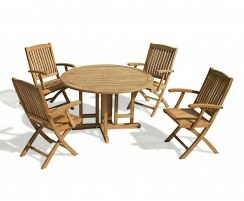 This outdoor six seater dining set will be be delivered fully assembled for your immediate enjoyment.